They say that parenthood is life’s greatest adventure. Joyous, challenging and terrifying though it may be, one thing we can be sure of is that it’s life-changing. Parents, new and old, are surely never quite the same after the birth of that first baby. As such, they’re a unique slice of the population. 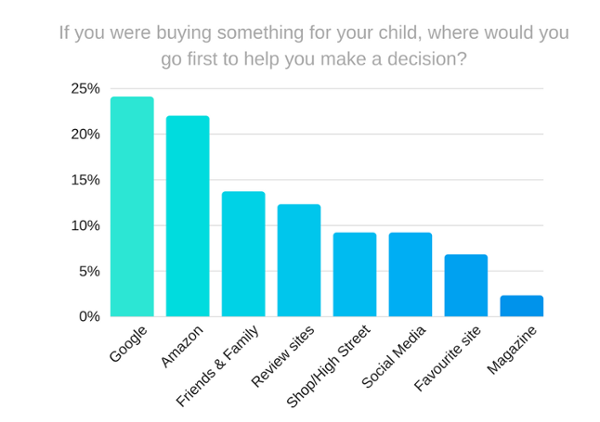 Unlike most purchases we make, that are motivated by personal need, impulse or desire, much of what parents buy is motivated by the whims and requirements of others. How do we market to them, then? Do they respond just as well to plays on the senses, or are they more driven by logic and reason? The idiosyncratic parent code is a particularly lucrative one to crack. Everyone knows that parents (particularly new ones) are a huge market. Even after the initial mad spree buying changing tables and cots, they continue to be consumers driven to shop more frequently than the rest of the population. Children grow fast, and with longer limbs and longer attention spans, they need new clothes and new distractions. 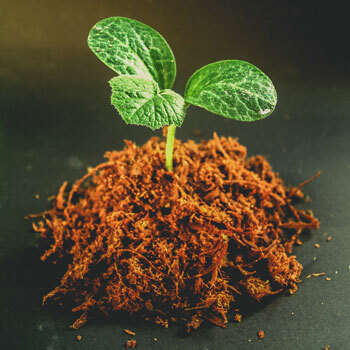 That said, they’re also likely to be a more discerning buyer, since safety and trust is a huge concern when it comes to the welfare of their children. Not to mention, they’re most likely sleep deprived (in those early days) and time-poor, so you have to make sure you make your case for why they should choose you sharpish! With conflicting advice, and barrels of choice, parents must often feel overwhelmed by the offering. Whether your brand wants to fill parents’ baskets with every essential, or pretty paraphernalia, you need to be getting your branding formula spot on. Last year there were 679,106 babies born in the UK, likely creating over a million parents. We surveyed 1000 parents of under-10s to help you to better understand what makes them tick. 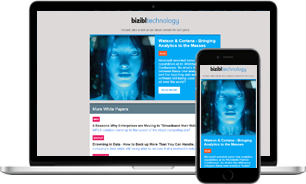 Read on to learn how to successfully market to this unique segment, by better understanding their wider interests and behaviours, as well as their buying habits and brand awareness in the market. 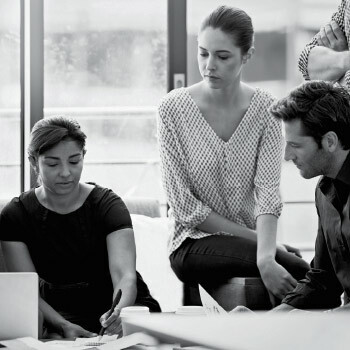 What personality traits and behaviours set this consumer group apart from the wider population, and how can brands tailor their messaging for this unique opportunity? Parent’s lives are often all-consumed by their families. It’s a full-time job, after all. 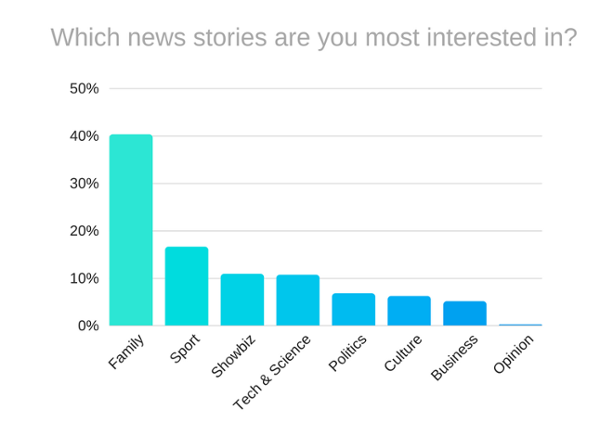 Unsurprisingly, then, they ranked Family & Education as the number one category of news stories they’re most interested in. This category stormed ahead with 40.3% of the vote, leaving Sport trailing behind in second with just 16.6% of the vote. This is very different compared to the other consumer segments we’ve studied. Their least favourite news category is Opinion, which just 3.1% of parents have time to be reading. It seems that in their hectic schedules, between nappy changes and bath time, parents want a distilled picture of the news that applies to them. They don’t have time to indulgent opinion pieces. When it comes to their social media use, as has been the trend in our other consumer groups so far indexed, parents are big fans of Facebook. 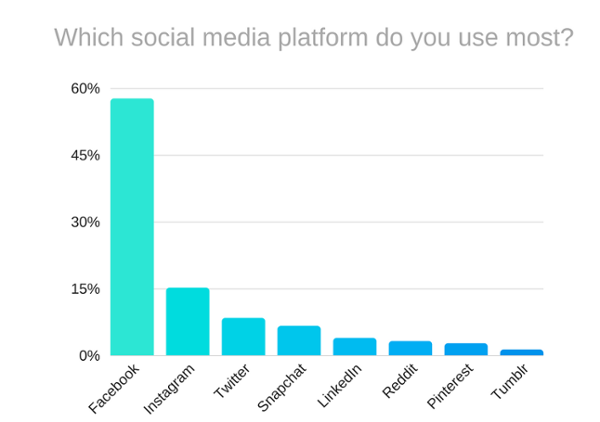 Over half of parents (57.7%) report using Facebook the most out of all social media platforms, followed by Instagram in second place (15.2%) and Twitter as the third most used platform (8.4%). Comparing mums and dads, Mums are bigger fans of Facebook than dads (64.4% versus 50.4%), while dads are more keen fans of Twitter than mums are (13.7% versus 3.3%). 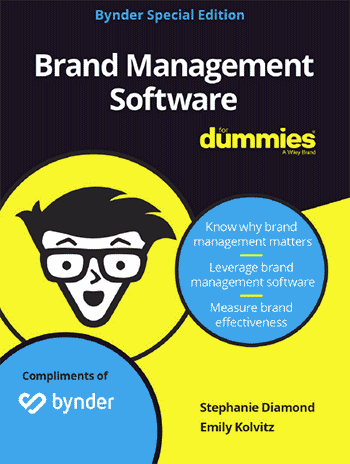 What is it that drives parents to brands? Is it the on-trend innovations that all the parents at daycare are using and recommending? Or is it the ease of picking up the essentials from the supermarket while doing the weekly grocery shop? They clearly have unique needs for a range of items that other consumers don’t, some essential, some less so, but what can brands do to attract attention from these time-poor, need-rich consumers? Parents are most receptive to TV adverts, with 36.1% of this consumer group claiming they pay most attention to adverts in this channel. In second place is Social Media, with 23.6% of the vote, so a Facebook strategy might be a logical way to access this consumer group in the arena where they’re paying considerable attention. Interestingly, while TV adverts can be watched by parents and their children simultaneously, leaving room for the child to respond positively or negatively to the product on offer, social media adverts will likely only be viewed by the parents, so the decision is much more in the parents’ hands. 71.2% of parents admit they’ve been pestered by their child to buy something that the child has seen an advert for, with the most frequent offenders being: LEGO (7.9%), LOL Dolls (3.3%) and Nintendo products (1.9%). When shopping for a product for their child, parents are drawn to Google and Amazon almost equally (Google receives 24.1% and Amazon 22%). First port of call for almost half of parents, then, is the internet. 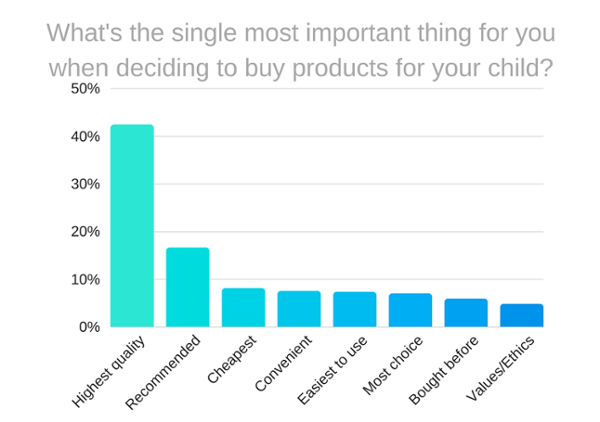 Friends and family come in as the 3rd place parents would go for help making a decision on a child-specific product, with 13.7%. 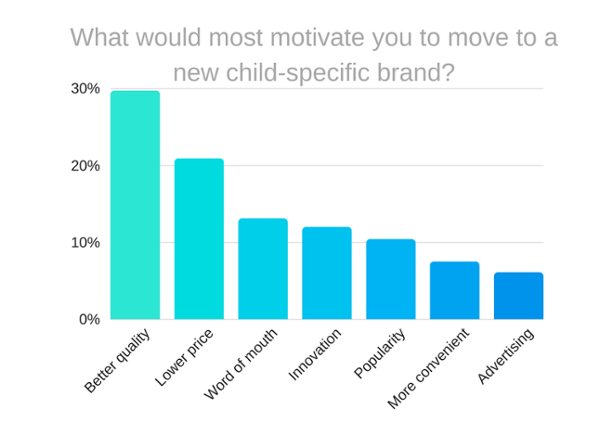 Similarly, word of mouth endorsement is the 3rd most motivating factor to convince a parent to try a new child-specific brand (13.1%). More persuasive, and the way to draw new consumers to your product, is to provide better quality (29.7%) or lower priced (20.9%) items. 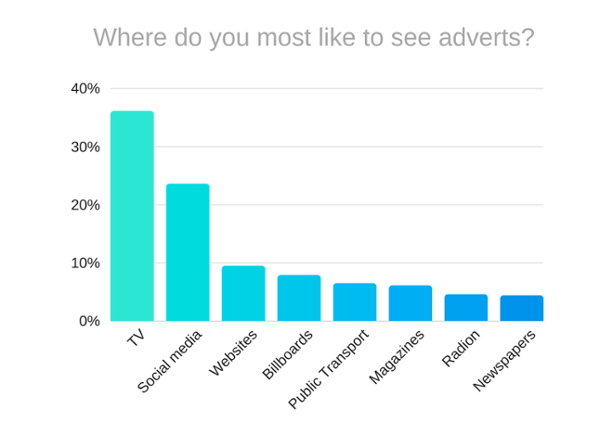 Advertising is ranked as the least convincing method for drawing parents to a new brand, with just 6.1% of the vote. What precisely are they looking for? Logically, parents are most concerned that the products they buy for their child be safe, with highest quality and durable ranked as the number one most important factor when shopping for these products (42.4%). They’re also a consumer group with their ears open, putting considerable weight on the opinions of friends, family and other parents. That the product is recommended is the second most important factor (16.6%), echoing the importance of word of mouth endorsement for tapping into this market. 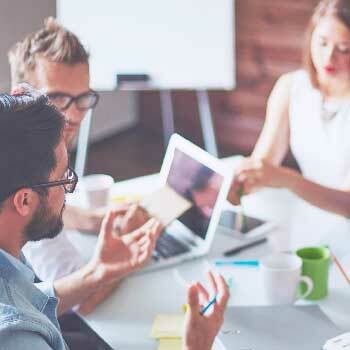 Secure a network of brand evangelists and you could well be forefront of trends in the parent community. Other considerations, being cheapest, the most convenient, easiest to use and offering the most choice all receive between 7% and 8.1% of the vote. The least important factor is that the brand shares the values of the parent, or acts ethically. This result is somewhat surprising given the noise surrounding hot button topics that are relevant to parents; breastfeeding, the safety of talcum powder and single-use nappy waste. 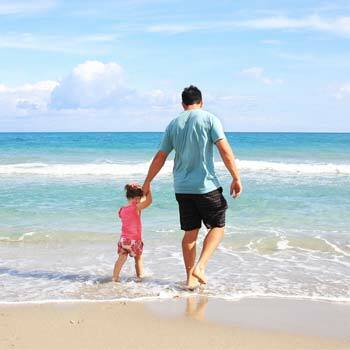 The cost of raising a child to the age of 21 currently stands at an estimated £231,843. It’s an enormous sum, and one that’s comprised of a huge range of purchases. From the neon colours of children’s cereal packets, to the shiny toys and gadgets that line the Argos catalogue, brands aimed at children (and by default, their parents) fight very hard for attention. Since children aren’t particularly brand aware (or concerned with reputation, or practicality), you can get it right with just an eye-catching product. But convincing parents that it’s worth their hard-earned money, isn’t so simple. It’s an exciting market for smaller brands, too, with 192 brands being named overall. They ranged from clothes brands, to brands fronted by children’s television characters, to food and snack brands, to toiletries and health brands. And with a diverse range of needs, parents are looking to a spread of shops, from big chains to mini independents. 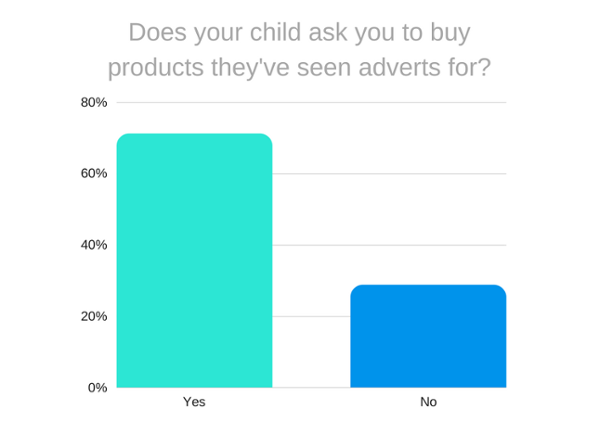 There’s enormous correlation between brands that parents like, and brands whose adverts they’ve enjoyed. Here are the top 10 most-cited answers from parents asked to name an advert that had impressed them in the last year. The appearance of LEGO at the top of both tables is mightily impressive. That LEGO is a heritage brand—long-standing and well-trusted—certainly helps (many parents will no doubt have enjoyed playing with it as children themselves), and the educational element also stands it in good stead to perform well with parents. That said, the brand has worked hard to innovate in recent years, the most notable brand extension being the LEGO Movie franchise. 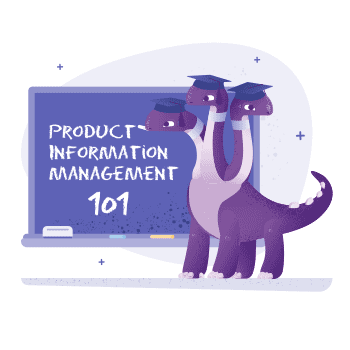 It’s an example of a big, worldwide brand thinking like a startup: they are working hard to remain agile and fresh, and clearly it’s paying off in terms of dominating share-of-mind. Mothercare should be encouraged by their appearance in both lists. The retailer has been struggling in recent months, but are currently on a rescue plan, which they hope will lead to an increase in sales. Part of the problem could, perhaps, lie in the store’s lack of an online presence. 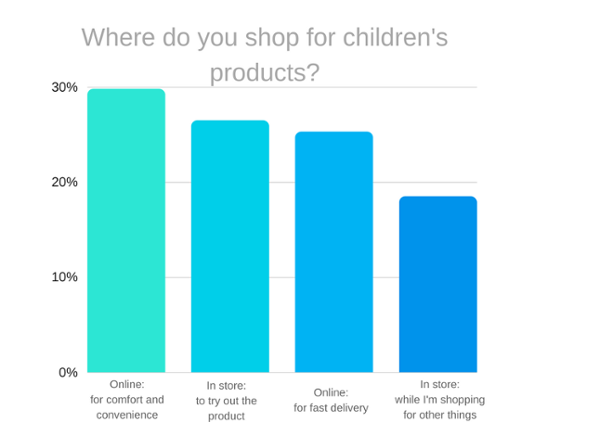 We asked parents how they most like to shop for children-related products. While there was quite an even split, there’s still a slight preference towards online shopping. Reasons vary: online is popular for convenience and quick access, while physical shops retain relevance thanks to parents’ desire to try out items before they buy them, and because parents like to pick up things for their children while they’re also buying for themselves. 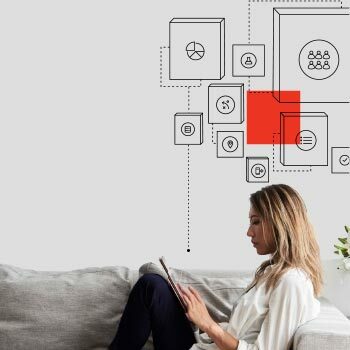 This is a demographic with various constraints on their time and routine, and optimally, your brand will be catering to all of them by offering both online and in-store experiences. Some brands—both child-specific and otherwise—now make an active effort to make the experience of shopping with them less hassle for parents. Many Ikea stores now have Småland (Swedish for crèche) where you can drop your little ones for an hour of free child care, while you shop. British Airways, meanwhile, will let you check in a pushchair and a car seat free of charge. How much difference do these child-friendly add-ons matter to parents? 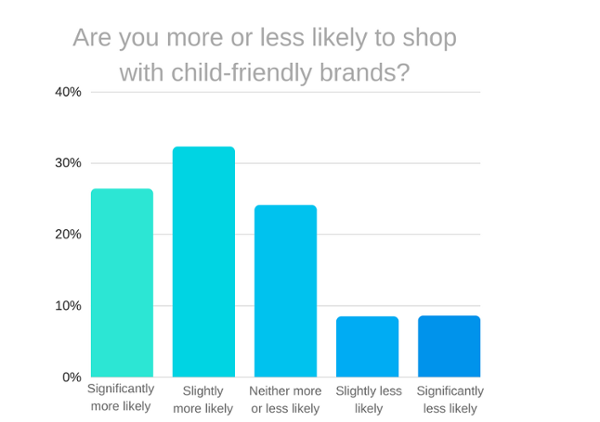 Little things go a long way: overwhelmingly, parents are more likely to want to spend money with brands who are trying to make their lives easier. So if your brand can see an easy way to make the in-store experience that bit less stressful for parents, it could pay great dividends. For example, how could Mothercare outcompete Amazon (where so many parents start their shopping journey)? Well they could invest more in educational materials online, so they show up ahead of Amazon for key searches; and more in training their staff to provide unique help and advice for parents looking for expertise when they’re in store. We also asked parents to name the well-known person they’d most like to see represent their favourite children’s brand. Many famous parents dominate the table: David Beckham is a father of 4; Holly Willoughby is a mother of 3. Giovanna Fletcher is the author of the Sunday Times bestselling Happy Mum, Happy Baby, and has 2 children and is expecting another with husband Tom, of McFly fame. Stacey Solomon, too, is vocal about parenthood and what it’s really like. Amongst the celebrity parents are CBeebies presenter, Mr Tumble, and also some famous faces who don’t yet have children of their own, but present a somewhat wholesome brand image (Taylor Swift and Ed Sheeran, for example). Parents representative an enormous (and dynamic) market, but are clearly strapped for time. They need the essentials to be available to them quickly and easily, and they need shopping for non-essential child products to be a pleasant, stress-free experience. They’re almost evenly split between being fans of online and offline shopping experiences, as long as they can be assured of the high quality of items by friends and family or find the products easily on Google or Amazon, they’re happy. Position and advertise your child-related product well and you could win over a loyal parent, who might just go on to evangelise your products to their friends and family, or give you the coveted 5 star Google review of your dreams. It’s one sector where sharing of information and advice is commonplace, and has a significant impact on the buying decisions made. LEGO seem to be winning considerable share of mind through impressive adverts (and hugely popular branded content), securing their place as parents’ number one favourite child-specific brand. But if you’d like to compete, optimise your adverts by considering partnerships with key TV personalities and well-known mothers and fathers. If your brand is in the process of choosing the channel via which to access parents at their most attentive, you could opt for a slot on television, perhaps with the pester-factor, hooking the interests of the end user (the children) and allowing them to work their magic on loosening the purse strings of the decision makers (the parents) long after the advert has ended. Alternatively, a social media strategy can catch parents in down-time, in which case Facebook, Instagram and Twitter should be the focus of your campaign. With a broad range of both essential and desirable products available to this market, it’s no wonder parents seem to spend all of their spare change on their children. The responsibility for making this third party happy, safe and contented falls to the parents, so their needs often fall out as a lesser priority. To succeed within this segment, you must offer a reasonably priced, but more importantly high quality and durable product. Parents require products with long-lives, they don’t have the time or patience to replace them every 5 minutes. It’s also likely to be durability and quality of items that will drive them to review the items online or recommend to friends, two key purchase drivers. If you’d like to delve deeper into parent’s behaviours and attitudes, or gather your own consumer insights on another market that matters most to your brand, get in touch with Attest today. Uncover unexpected behaviours amongst key consumes, and perhaps even discover new markets ripe for your brand.